On 10 May 2018, the Long-Term Expert of PAMECA V, Mr Giovanni Pasqua held an official meeting with the Commander of the Guard of the Republic of Albania, General Mr Gramos Sako. The focus of this meeting was the vetting process, part of which was also the Guard of the Republic, as a subordinate institution of the Ministry of Interior. During this meeting there were discussions about the difficulties encountered during this process, its progress and review of results at the conclusion of this process. 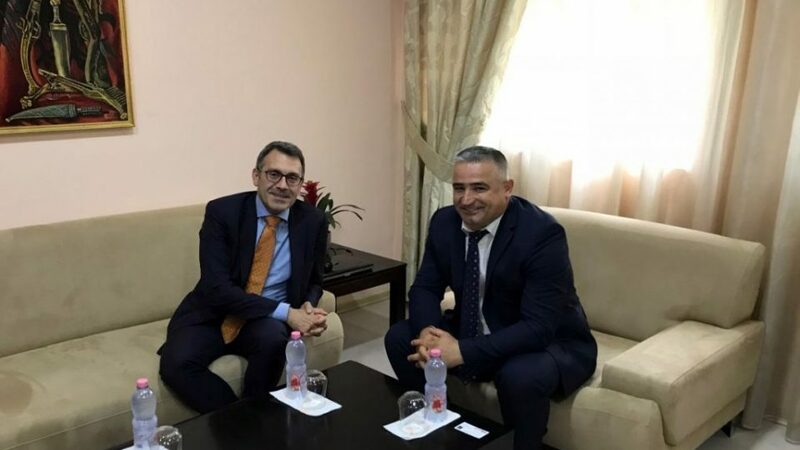 At the end of this meeting, Mr Pasqua expressed his willingness to cooperate with the Guard of the Republic in projects that PAMECA V will develop with human resources by providing assistance in the field of security, training for the employees, and consultations on improving the legal framework of the institution itself.